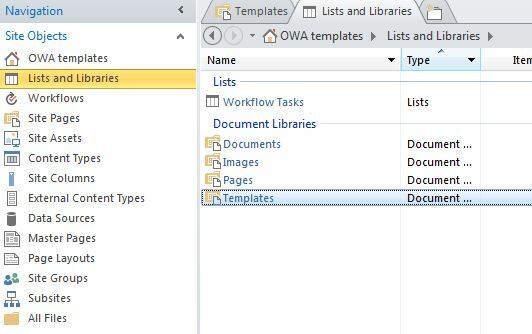 Each content type in a document library can be assigned an individual document templates. In the document library below, two different content types have been added, each with a different template. 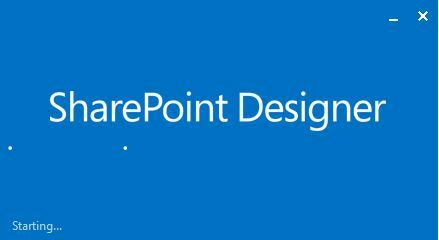 To edit the word templates, open the site in SharePoint designer 2013. In the content types section, open the content type (in this case it is called Policy). In the ribbon select “Edit Document Template”. This will allow you to create a dotx document which will be the template for this particular content type in this library. Once the template has been saved, it will be available as the main template for the content type. 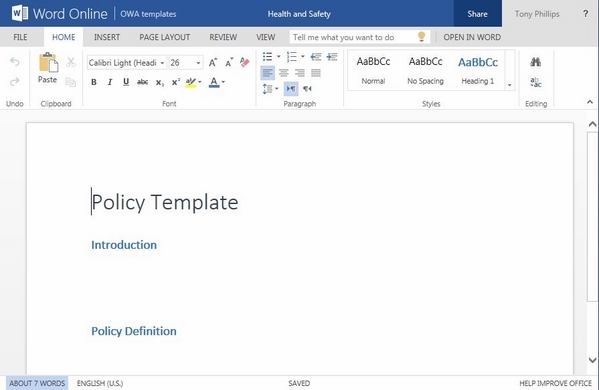 When users create a document using the Policy content type from the new menu, it will prompt them to enter a name for the new document. Please note that currently, the new templates will only open in Office Web Apps (online) if using Internet Explorer. Other browsers will prompt to open in the client application. This entry was posted in Office 365, SharePoint 2013, SharePoint Designer, SharePoint News, SharePoint Online, Tony Phillips and tagged 365, Codnor, Content Types, Derby, Hull, Office 365, Office Online, Office Web Apps, Phillips, SharePoint, SharePoint 2013, SharePoint Tony, Tony, Tony is here, Tony Phillips, tony phillips derby, Tony Phillips Hull, Tony Phillips SharePoint on May 9, 2014 by Tony Phillips.